With Christmas fast approaching , you can use a service like We Buy Books to clear out some space on your shelves for incoming presents and make some much needed cash to ensure you, your family or friends have a happy festive period. Most of us have stacks of old books, music CDs, DVDs and video games that we never read, listen to, watch or play. These can quickly be converted into cash without the cold and hassle of a car-boot sale or the frustration of an auction website, whilst also providing someone else with the entertainment. Using the site is simple. You enter the product ISBN code or bar code number from the back of most books or discs. Or you can use the service’s easy-to-use iOS or Android app on your phone or tablet, to capture the bar code via your phone’s camera. Each time you enter a code, you are offered an instant price for the item. These quickly build up into a basket of unwanted items and you can soon see the cash building up. From an old duplicate gift to a collection of music that now lives on your MP3 player or hard drive, there’s a great deal of opportunity just lying around your house that could easily be transformed into some useful cash, just in time for Christmas. Once you’ve found everything you want to sell, pack them up and send them to us free of charge using the pre-paid postage label which we will send via email. If everything is in reasonable condition, you get your money within a week, sent by PayPal, bank transfer or cheque. Whether you are just planning a festive declutter prior to Santa’s arrival or you’re trying to clear out old stuff the family no longer uses, there has never been an easier or better way to dispose of your old goods and make money at the same time. While you might think old CDs and DVDs are worthless in the age of Blu-ray and digital downloads, there is still a huge market for these things, and if you happen to have a semi-rare book or movie collector’s edition in the collection, who knows how much it could be worth? The best way to find out is to try the app or site, and go along your shelves and cupboards or attic boxes to see just how much cash there could be hiding away among all those second-hand goods. The service also takes Blu-rays and games from most console formats including Xbox, Wii and PlayStation. Just check that any books aren’t torn, mouldy or wet, and the disc’s shiny read surfaces are of reasonable quality to ensure they don’t get returned. Also note that some very popular items will already have been sent in by many users, so you might not get an offer for everything. 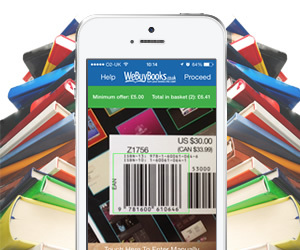 Using WeBuyBooks could also become a bit of a hobby as you find friends and other family members who want to get rid of their old items. Just remember to check the shed, garage and the cupboard under the stairs for any old stashes of goods that you might be able to turn into cash to make it an ever merrier Christmas. 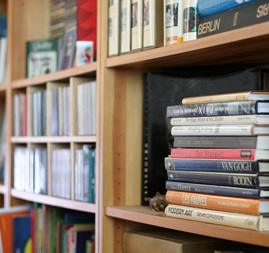 For more information on how to sell your unwanted books, CDs, DVDs and video games give us a call on 01706 248281 or get in touch via Facebook or Twitter.